Santiago Vergini cuts a forlorn figure as Southampton celebrates a goal in the 8-0 rout of Sunderland at St Mary's. 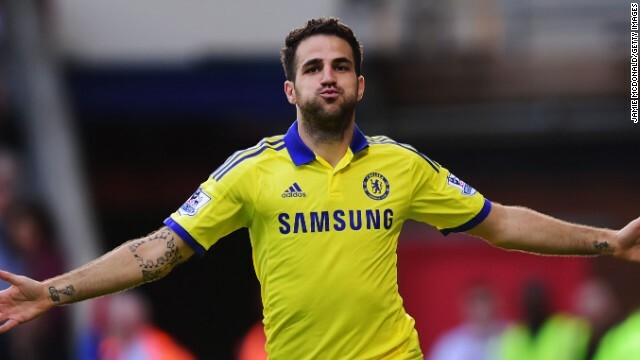 Cesc Fabregas celebrates his second half strike for Chelsea in a 2-1 win over Crystal Palace to stay top of the EPL. There was no stopping Sergio Aguero as he eludes Jan Vertonghen to slot home his fourth in Man City's 4-1 defeat of Spurs. 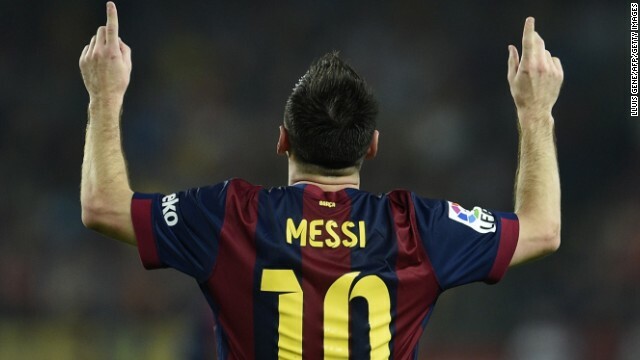 A familiar pose as Lionel Messi celebrates his 250th La Liga goal, one shy of the all-time record, in Barcelona's 3-0 win over Eibar. 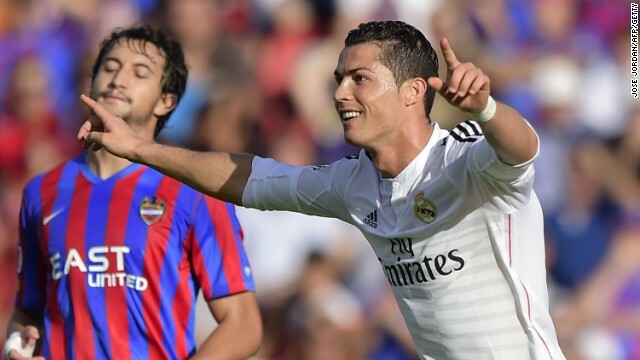 Cristiano Ronaldo maintained his incredible scoring record this season with a double in Real's 5-0 win over Levante in La Liga. 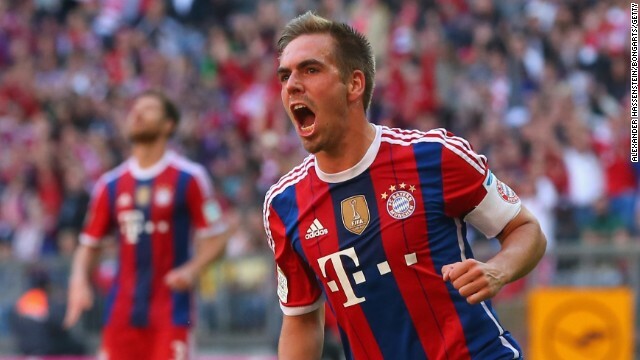 Philipp Lahm hit a rare double in Bayern Munich's 6-0 rout of bottom side Werder Bremen in the Bundesliga. (CNN) -- Have English Premier League club Sunderland's players set a dangerous precedent for under-performing sports teams? 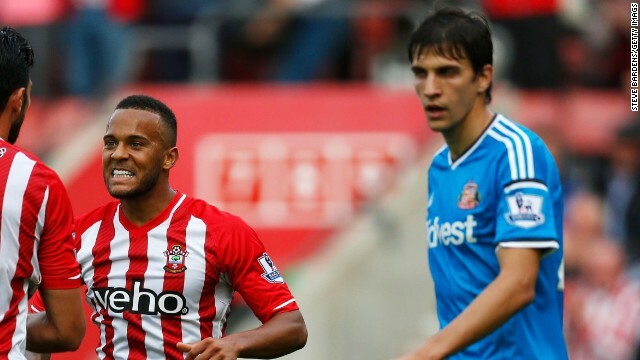 After losing 8-0 at Southampton on Saturday, Sunderland's squad has offered to refund the cost of match tickets to their 2,500 traveling supporters who made the 1,026 kilometer round trip from the north east of England to the south coast. "We win and lose as a team, players, staff and fans," Sunderland captain John O'Shea told the club's website..
"However we wanted to acknowledge and thank the supporters who traveled such a long way to give us their backing and despite everything, stayed with us until the final whistle,"
It's a gesture that could cost the Sunderland squad as much as $100,000, with any unclaimed money to be donated to Sunderland-based charity Grace House, which provides care to children who have life-shortening conditions for which there is no known cure. Saturday ignominious defeat was Sunderland's biggest in 32 years and left the club one spot above the relegation zone after eight games. The 8-0 reverse, which included a spectacular own goal by Santiago Vergini to spark the rout, was one short of the record defeat in the English Premier League, Manchester United's 9-0 rout of Ipswich in 1995. "I've never felt as bad on a football pitch, as a player or as a coach, as I do today," said Sunderland manager Gus Poyet after Saturday's loss. "Even as a fan I've never felt this way, it's embarrassing and unacceptable, I'm really hurt." Read: Own goal of the season?